The process of obtaining a mortgage is not a streamlined, one-size-fits all, fast-lane purchase. If it were, you wouldn’t be here on this blog looking for answers. 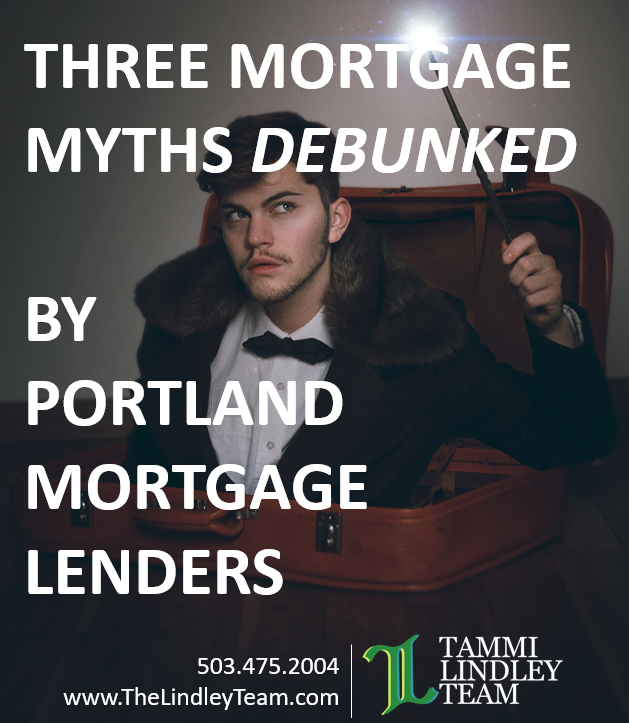 As Portland mortgage lenders, we get a lot of questions from buyers locally and globally. That’s to be expected! That’s what we’re here for! There are 3 questions, however, that come up several times a day, so we thought it might help to go ahead and throw them out there. Of course, as always, please ask us your questions. Ask them until you clearly understand the answer and feel comfortable moving forward. Our job is to help you take the clearest path toward your future home. Isn’t it cheaper to just rent? Well, no. Sometimes. But not always. We just wrote a post on this topic recently so feel free to head back and check it out. Renting might seem cheaper on the surface because you have less of a down payment and fewer “hidden” costs. 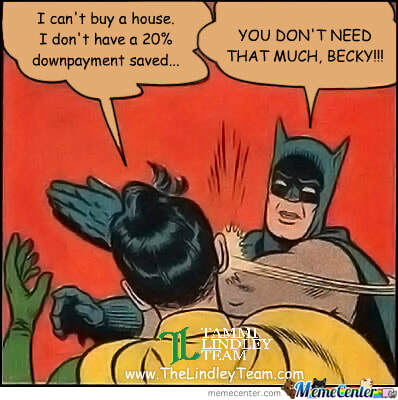 Read on for information on that down payment myth at the end of this post. There are several costs included in buying a home. First of all, one of our goals as your go-to mortgage expert is to un-hide any of those hidden costs you’re worried about. Pranks are only funny on YouTube and when they involve plastic bugs or fake snakes and complete strangers that are not us. We’re not in the business of surprising our clients. Second, it’s important to weigh all the costs included in your choice of home. For example, renting allows you to probably pay less up front and you probably won’t be responsible for large scale maintenance projects. On the other hand, your landlord might not be required to repair some things that you deem necessary for comfort, like a/c, washing machines, etc. Owning your own home allows you to not only make repairs on your own time (and dime, yes) but also allows for any redecorating or redesigning projects. For many people, there’s more freedom in being able to modify and make a house a personalized home, where others find freedom in not having that option/responsibility. Third, the amount of your monthly mortgage payment never changes. The only component that will most likely increase over time are your property taxes. Rent, on the other hand, is most definitely going to increase over time. Lastly, and this might sound obvious but let me explain, with every payment you make on your mortgage, you owe less – meaning there is an end to these payments down the road. At the same time, you have an asset that will most likely increase in value over time. Assuming the market continues to grow and remain healthy, you will have home that worth far more than you owe even 3-5 years down the road. 2. Don’t I need a practically perfect credit score? Calm down, Mary Poppins. No one is perfect, and we realize that. While shooting for the stars when repairing or maintaining your credit is admirable, you might be surprised at how well your score compares to other homebuyers. There are many factors considered, of course, but did you know that many loans only require a credit score of 580? Yes, there are benefits to having a higher score but don’t let what you think is a too-low number keep you from starting the process. Not sure if you’re ready credit-wise? We’re ready to help, regardless. Give us a call or come in and chat. We can tell help you determine where you are on the path to a happy mortgage process. If you need to improve in some areas, we’ll stick around and help you move on down the road to your future home at your pace. 3. Do I need a 20% down payment to buy a house? Listen, this idea has been around for a long time. It most likely springs from a time when your grandparents could work an extra shift pumping gas and save up enough for a 20% down payment on a 3-bedroom home, two gently-used his and her vehicles, a fancy new electric typewriter, and a celebratory dinner. If you’ve got 20% to put down on a house, that’s fantastic. Really. It’s going to save you in ways such as not having to pay PMI and owing less in the long run. If you don’t have 20% down, it’s not as big of a deal as you’ve been told. There are so many types of loans these days and they all come with their own requirements and benefits. Some loans require as low as 0% down. All of these variables are why the smartest and safest first step you can take is to talk to a local mortgage expert and let them check off your list of questions one by one. Give us a call, put your stress into our hands, and let us make sense of the sometimes-overwhelming world of mortgages for you. It’s literally our job.